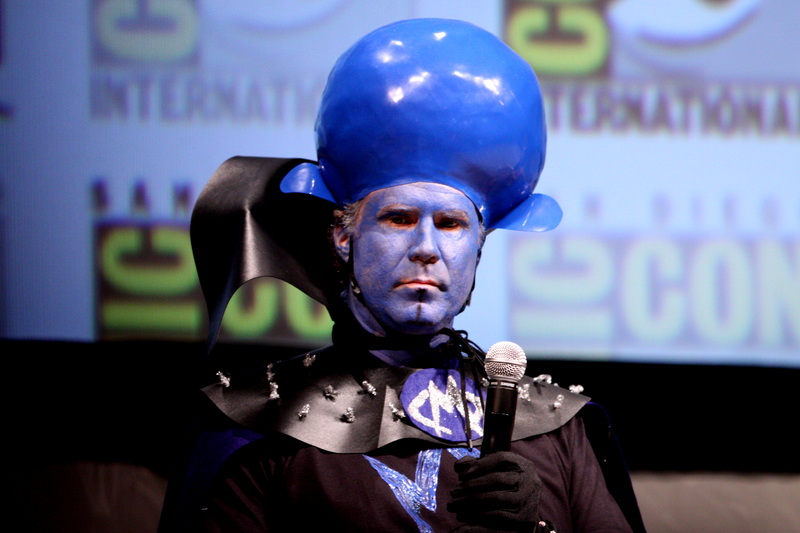 During Comic-Con in 2010, Will Ferrell went the extra mile to dress up like his character Megamind from the DreamWorks Animation film, and now his Anchorman: The Legend Continues co-star Steve Carell has done the same thing. Appearing on "The Ellen Show" with Ellen DeGeneres, Carell appeared in a full costume as Gru from Despicable Me and the forthcoming sequel. Just looking at Carell like this is hilarious because of the strange proportions of Gru as an animated character, but seeing him dance around the show and stay in character is just laugh-out-loud funny. Things like this need to happen more often. Whoever thought this up should be given all the money. This will from now on haunt my dreams. Says the guy with the profile pic of a monkey with a ball sac on its face. Your ball sac must look weird. Ahhhh steve carrell class act that guy, if I didnt know any better I would think he started his career in the 90s crew of SNL, just that type of entertainer. So much respect for Steve Carell except for his one flop - "seeking a friend for the end of the world"
I agree, did not like that movie.